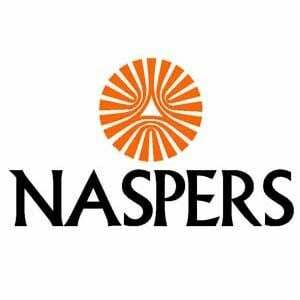 Naspers [JSE:NPN] is working on the transparency of its remuneration, the group's Annual General Meeting (AGM) heard on Friday. Detailed information was being made available regarding executive pay, and the breakdown of votes by share class would also be made available after the meeting, shareholders were told. "We are listening to you," chairperson Koos Bekker told the meeting in Cape Town. "We asked ourselves, 'How can we improve disclosure?'" Naspers had faced criticism in the wake of its previous AGM with some shareholders voicing concerns over executive remuneration and engagement with the independent non-executive directors of the remuneration committee. In its efforts to remain competitive, the company may have "lagged a little bit" in the previous year when it came to the disclosure of remuneration, Bekker acknowledged on Friday. It was difficult to strike a balance between transparency and not disclosing information that would cost the company its competitive edge, he said. Craig Enenstein, chair of the remuneration committee, said the company had considered "how best to express responsiveness and thoughtfulness" and "listened very carefully to investor concerns". The company's remuneration policy was strategic and had been detailed in the integrated annual report, he said. Remuneration was designed to provide rewards on three basic levels, namely salary, short-term incentives and long-term incentives. Greater seniority came with greater risk, he said. According to Enenstein, the rationale behind Naspers' remuneration strategy was to "pay for performance and value creation" by offering the bulk of earnings at senior level in long-term incentives. "If the overall trajectory of the business is negative, they don't get the compensation," he said. "In terms of performance, Naspers takes a longer-term view on growth." The group's CEO Bob van Dijk was "forced to take" the bulk of his earnings in shares, which carried a risk, said Enenstein. "[He] must learn to align his interests with your interests," he said. Asked by a shareholder why he had been informed in writing that it was not policy to allow engagement with non-executive directors of the remuneration committee, Enenstein said there was "no desire to be immune" to engagement over remuneration. "We have been in receipt of questions and have responded," he said. Company secretary Gillian Kisbey-Green said there was "maybe a little bit of a misconception". Different time zones made communication "difficult" but there was a willingness to communicate in writing, she said. He was not aware of such a policy, but if there was one, he was willing to review it, said Enenstein. During voting on Friday, all the company's resolutions passed, including approvals of remuneration. The breakdown of voting information by share class was released after markets closed on Friday. The company has two classes of shares: N ordinary shares and A ordinary shares. A ordinary shares are worth 1000 votes each, while N ordinary shares are worth 1 vote each. While 56.96% of the N ordinary shareholders present voted against endorsing the group's remuneration policy, according to the results of the AGM published on Friday evening, the resolution still passed as 100% of the A ordinary shareholders voted for the policy. Just over half of the N shareholders, however, voted to approve the implementation of the remuneration policy "as set out in the remuneration report", as well as 100% of the A shareholders. *Fin24 is owned by Media24, a subsidiary of Naspers.